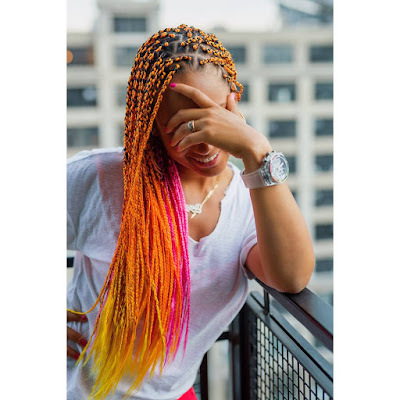 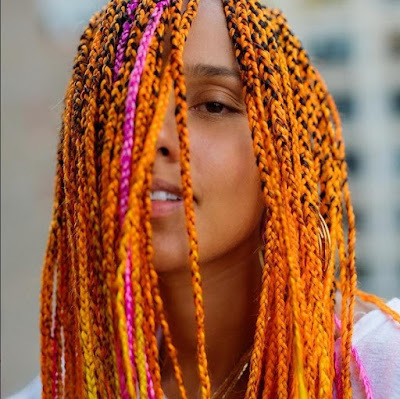 The queen of creative braid styles, Alicia Keys debuted a new colorful braid hairstyle this week! 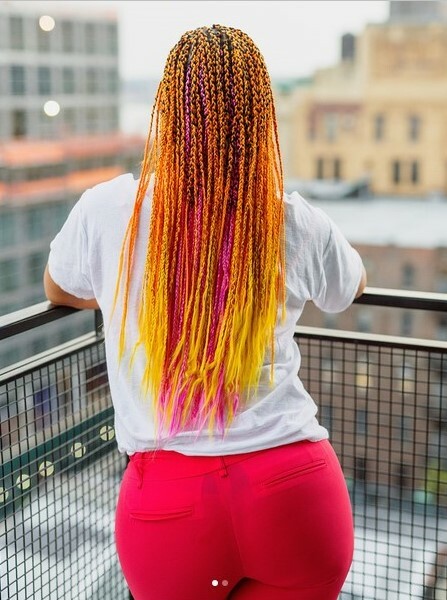 The "Uncommon" singer is wearing yellow, pink, and orange braid extensions down to here lower back. Pics of the style were shared on social media. Keys is giving us the summery sorbet look! What do you think of Alicia Keys' new hairstyle?